The Microsoft Surface Book 2 is the most powerful hybrid laptop, tablet, and portable studio packs with the latest 8-Gen Intel Core i7 processors and superior Nvidia 10 series graphics. It now comes with both 13.5-inch and 15-inch display size with a better display quality. If you have a 13.5-inch version of Surface Book or Surface Book 2 make sure to check out our specific list that already posted in our previous best-picked bags for the Microsoft Surface Book 13.5-inch. Today, we gonna introduce another best-picked list of bags, briefcases, and backpacks specifically for the 15-inch version of Microsoft Surface Book 2 to make sure you will get only the perfect fit one. Note Here is the exact dimensions of the 15-inch Microsoft Surface Book 2: 13.5” x 9.87” x 0.568-0.90” (343 mm x 251 mm x 15 mm-23 mm). Take note of this info in case you want to look for other bags that aren’t listed in the list below. Lightweight protective bag for 15” Surface Book 2. 14-15 Inch is the best fit for this bag. The first one on the list is the Tomtoc 360° Briefcase Sleeve Bag. It is is a hybrid of a laptop sleeve and a shoulder bag. It available in multiple size options including 14”-15” version that will fit your Surface Book 2 15” very well. It is a great choice for student or business person who needs the most lightweight bag to take only their necessary stuff to school or workplace. There is a main compartment for keeping your Surface Book and documents protected from zipper scratches, knock, bump, and drops. There are also two large zippered pockets for storing your chargers, adapters, cables, pens and other stuff. If you are a tech enthusiast and looking for a well-known tech brand on your bag, you might interest this backpack from Dell. That’s true that Microsoft doesn’t make a bag or a backpack, so Dell is the best alternative. This backpack has enough room to keep your Surface Book tight, securely and free from scratches. The exterior made from water resistant and durable materials protect your Surface Book 2 and accessories safe from the weather. Superior Protection for 15” Surface Book 2. Superior protection for your laptop with the thinnest backpack design. Stash pockets for phone and other items. Durable water-resistant integrated stow-away rain fly. Side entry laptop compartment with easy access zip-down organization panel. Here is another backpack from Brenthaven that features summer unique features that you can’t find on other backpacks. First of all, it features a superior protection from drops, bangs, and bumps with the Brenthaven’s thinnest backpack design ever. 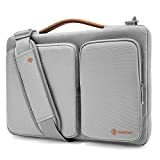 It has a secured main compartment for your Surface Book 2 and many small and large zippered microfiber lined pockets for keeping your phones, tablets, documents, and other accessories safe. Moreover, it also has an integrated stow-away rain fly to shield the entire backpack to make sure your stuff stays protected 100% while raining. Available in Black, Brown, Palo Alto Green, and Charcoal Gray. The next one is the messenger bag from CaseCrown that fit really well with your 15-inch Surface Book 2. It can keep your laptop and your tablet secured with its padded room with the elastic band and Velcro closure. Moreover, it also has multiple large and small pockets for storing your documents, phones, pens, chargers and all your necessary stuff. 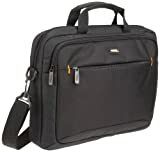 If you looking for a very basic protection that allows you transport your laptop and accessories from place to place with an affordable price, it must be the bag from AmazonBasics. It is a standard laptop bag you see every day that has a large main compartment to store your laptop and documents. It also has a large front pocket for keeping all your necessary stuff sick as a power adapter, pens, mouse, phones, tablets, and so on. It only comes with a single black color option and many available sizes. However, we would recommend you to choose the 14 inches version as it has just enough room for your 15” Surface Book 2. The Microsoft Surface Book 2 is a great-great hybrid laptop and if you want it to serve you even longer you will need to actively protect it. All bags above are the bags that perfectly fit your 15” Surface Book 2 that you can find on the market day. Style and quality are the underlying factors in most of them. If you are looking for a lightweight solution while you travel, the messenger bags are good for you. Otherwise, the backpack is also a great option if you wish to carry things from places to places. 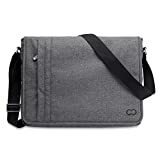 Related Topics BackpacksBagsBriefcasesMessenger BagSurface Book 2 15-inchSurface Book 2 15"
We appreciate hearing your thoughts, questions, and ideas about “The Best Bags for Microsoft Surface Book 2 15” in 2019”. Please post respectful comments and on topic. We will be replying back to you as soon as possible. 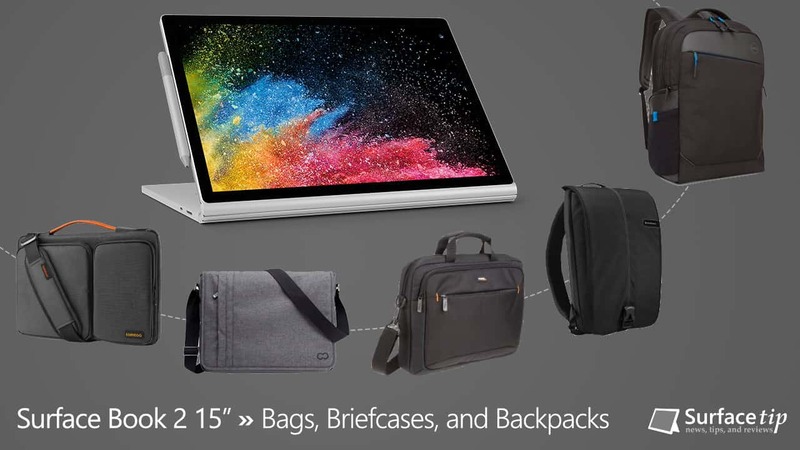 Share your idea about "The Best Bags for Microsoft Surface Book 2 15” in 2019".